The interest rates have been at the record level for five years, but, there was some expectation that the rates could start to rise after Bank Governor Mark Carney hinted at such in June. Recent figures have suggested growth in many UK sectors, with the service sector having a continued and robust recovery. However, there are concerns that the rate of growth in manufacturing has slowed, with data showing a small increase of 0.3% in June, smaller than expected, after it fell by 1.3% May. 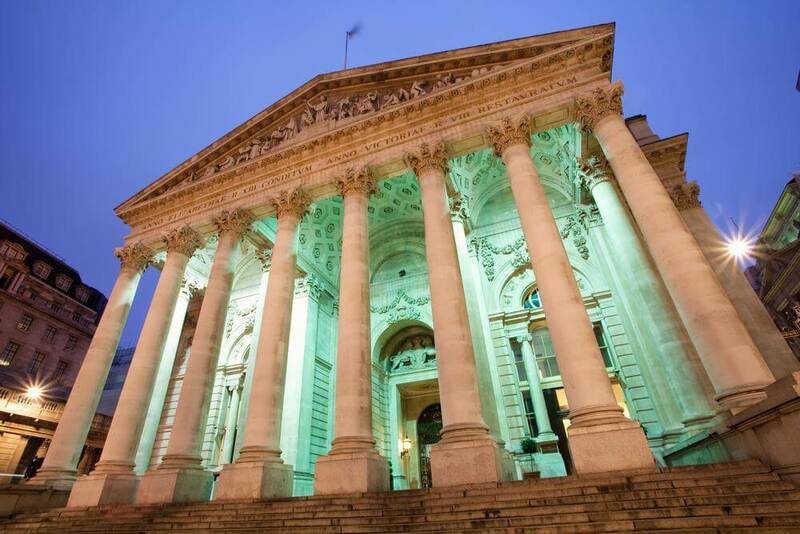 The decision was taken by the Bank of England’s Monetary Policy Committee (MPC). The minutes of the meeting outlining their decision will not be presented publically until August 20. “(while) employment had continued to increase robustly… wage growth had been surprisingly weak”. If the minutes of the latest meeting reveal that some members voted for a rise, it will be the first split decision in over three years. Though Mr Carney had hinted at a rise, most economists had been forecasting that an interest rate increase would not be seen before the first quarter of next year. The Bank also revealed that its quantitative easing programme would also remain unchanged at £375bn. Active Venture Partners has announced the appointment of two new team members with strong entrepreneurial and venture capital experience. 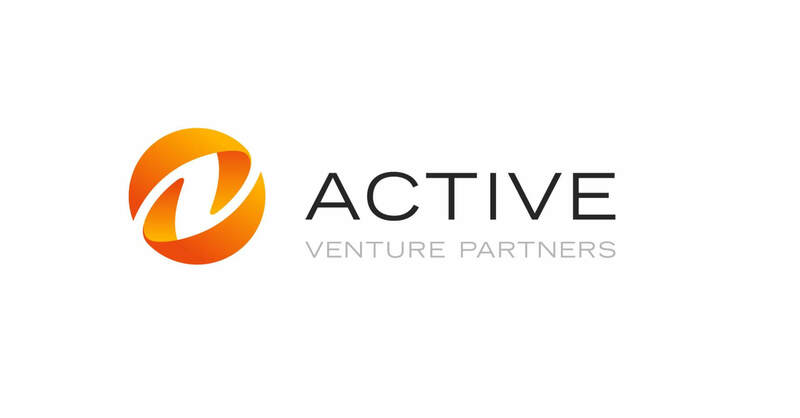 Active has doubled its team from five to 10 team members in the last three years and is one of Europe’s fastest-growing venture capital firms. Sebastian Blum joins as partner coming from previous senior roles in Silicon Valley’s mobile technology and VC market while Georg Stockinger takes up his role as venture advisor bringing large-scale digital business expertise to the firm. Common to both is a strong commitment to extending Active’s game-changing approach based on active value building and operational support for its portfolio companies which is setting the company apart from traditional venture capital fund managers. Building on its success in the mobile startup community, Active has appointed Sebastian Blum from his previous position as VP of business development at California-based photo viewing app developer Cooliris, where he was responsible for corporate & business development and partnerships with special focus on Asia. Previously he was in senior positions at T-Venture, the VC arm of Deutsche Telekom, and most recently as the managing director of its San Francisco office where he drove investments in mobile start-ups throughout Europe and the US. Blum will expand Active’s representation in Berlin and other German-speaking startup hubs. Georg Stockinger brings experience in helping large-scale digital businesses in Europe and Latin America to grow their operations and internationalisation efforts. He was managing director at Rocket Internet LatAm, which has helped to launch and support companies such as Groupon, eDarling and Zalando. Previously, he gained experience in management consulting with McKinsey & Company and was part of the founding team of the German e-commerce start-up Casacanda, which was successfully exited. Stockinger has collected significant investment experience by being active as a private investor in digital businesses based in Germany, Spain, the UK, Mexico and Colombia. Like all team members at Active, both Blum and Stockinger bring many additional skills to their roles. They both have international business experience and networks and speak a variety of different languages. “Sebastian and Georg add immensely to the rich diversity of the Active team that is now composed of seven nationalities and speaks 10 languages,” said Christopher Pommerening, founding partner at Active Venture Partners. Abingworth, the international investment group dedicated to life sciences and healthcare, has announced the promotions of Ken Haas and Vin Miles to partners. They are both based in the US where they source and manage deals including early-stage and late-stage venture capital, venture growth and public market investments as well as VIPEs (venture investments in public equities). Haas has spent 25 years in the management of both early-stage and public high technology and biotechnology companies. As part of the Abingworth team, Ken has led several investments including Clovis Oncology, Gynesonics and Intellikine. Before joining Abingworth, he was part of the founding management team at IntelliGenetics, one of the world’s first bioinformatics companies and was CEO of IntelliCorp, a publicly-traded enterprise software company. Haas joined Abingworth in 2004 and is based in the group’s Menlo Park, California office. Miles has more than 30 years of management experience in the biotech industry. He is currently on the boards of Chiasma, Dicerna, Hydra BioSciences and Magellan Bioscience. Before joining Abingworth in 2007, he was senior vice president, business development, of the Abingworth portfolio company Alnylam Pharmaceuticals. Previously, Miles was at Millennium Pharmaceuticals, where he held VP positions in business development, strategic planning and corporate communications. Miles is based in the group’s Boston, Massachusetts office. The Q2 John Gilbert Financial Research (JGFR) Banking Barometer finds 83% of the adult population has a designated main financial services provider (MFSP, normally a high street bank), the lowest proportion since December 2007. The drop in designated MFSPs may reflect the further growth of ‘commoditised’ financial services in the past year, as more people use online banking, accessed increasingly by smartphones and tablets. 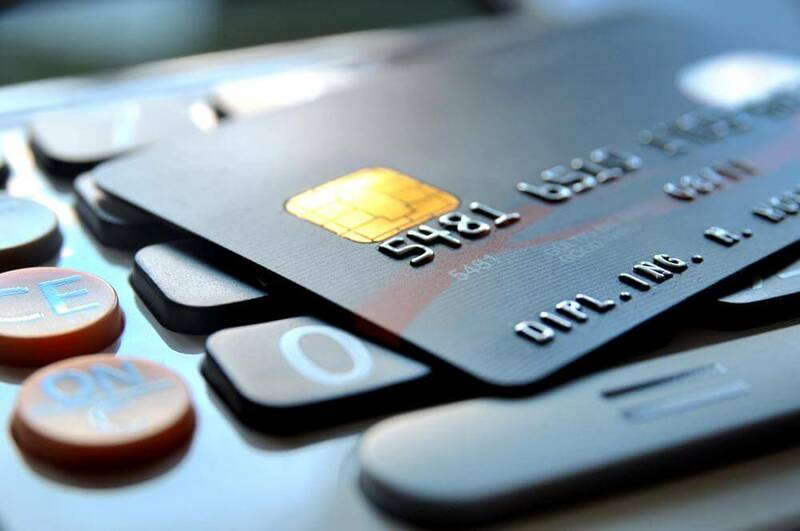 More people may regard their personal current account akin to a payments utility, and less a product gateway, following pressure by government, industry regulators and consumer bodies, keen to break the dominant position of the high street banks and generate greater competition. Among the near 44 million people with a designated MFSP, the top ten brands have an 83% share of consumers, down from 85% in Q1 and 86% in Q2 2013. With the separation of TSB from Lloyds Bank brand, the latter has been replaced in the past 2 quarters as the leading MFSP by Barclays. TSB has established a consistent 3.5% share in the past 2 quarters. Overall the Lloyds Banking Group has a 24% MFSP share, followed by RBS and Barclays (both 15%), HSBC (13%) and Santander (9%). The challenger banks with current accounts have made little impact to date as MFSPs. Tesco Bank, M&S Bank, Virgin Money and the Post Office have just 1.1% market share combined. Where there is strong competition is at a regional level and this is perhaps where new challenger brands, with branch networks may be better placed to succeed. 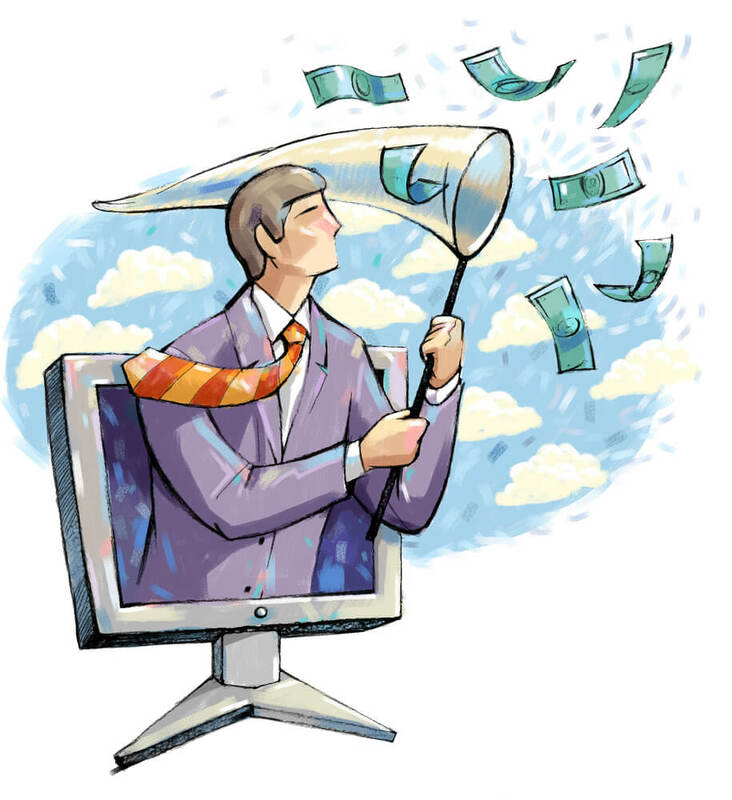 The focus on current accounts is because of its gateway to other financial products. The Q2 JGFR/GfK Financial Activity Barometer shows the demand across 18 categories of saving, investment and borrowing products; by cross-analysis with the customers of the respective MFSP brands the Barometer shows the importance of an active customer base on revenue generation. Such activity will partly reflect the financial position of customers, with HSBC and Nationwide having the greatest proportions of customer households currently saving. By contrast the newly floated TSB has a less active customer base and will need to recruit more financially active customers. Among key market segments, Barclays and HSBC compete strongly for the under 30’s; HSBC is leader among graduates, both in market share and as a proportion of its customer base (48%). Not surprisingly it is leader among higher earners (£50,000+). Barclays is the market leader among the over 50s, retired and among outright owners. By intending product activity, in the competitive, yet attractive revenue producing mortgage and credit card markets, Barclays is market leader. Halifax is leader in the personal loan market and has the highest proportion of customers intending borrowing by credit card. Research for the 2014 JGFR/ComPeer Financial DIY Report highlights the growing debate surrounding the onset of digital banking. The majority of people use an omni (mix) of channel approach with online dominating. Around 4 in 10 cite visiting a branch, well down on over a half two years ago. There is still a people factor in financial services with around 1 in 5 citing the use of a named relationship manager / adviser. With more challenger banks offering current accounts and becoming potential MFSP’s, the Q2 Banking Barometer asked about the relative attraction of branch-based and digital banks. There would appear an appetite for change among the public in banking arrangements. Some 22 million adults (42% of the population) responded positively to new branch-based banks rather than a digital bank, which is likely to be more niche in its appeal. Interestingly students (52%) are among the most supportive segment of the statement. For many people there would seem to be the need for a human face to a digital bank. For a minority of the public (14%) access to finance through a Visa / Mastercard or PayPal account is more important than a bank account. This figure has changed little in the past 3 years. 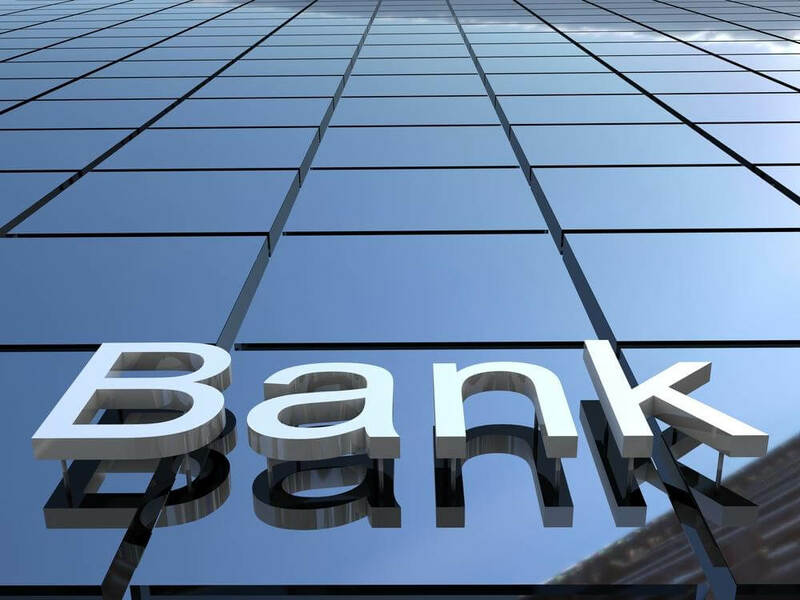 With increasing focus on the role of corporate and social responsibility among businesses, branch based banks are viewed by the public as having a much greater social and community impact. An example is firstdirect. The bank scores very highly in surveys surrounding its customer focus, but is well behind (8%) the major branch based banks (19% – 49%) in how customers view its social and community presence. Overall 28% of the public believed their MFSP to be very involved in charitable and socially responsible activities, with the leading MFSP brands falling into two divisions; a Premier Division with brands taking over 35% support and a second division with below average levels. 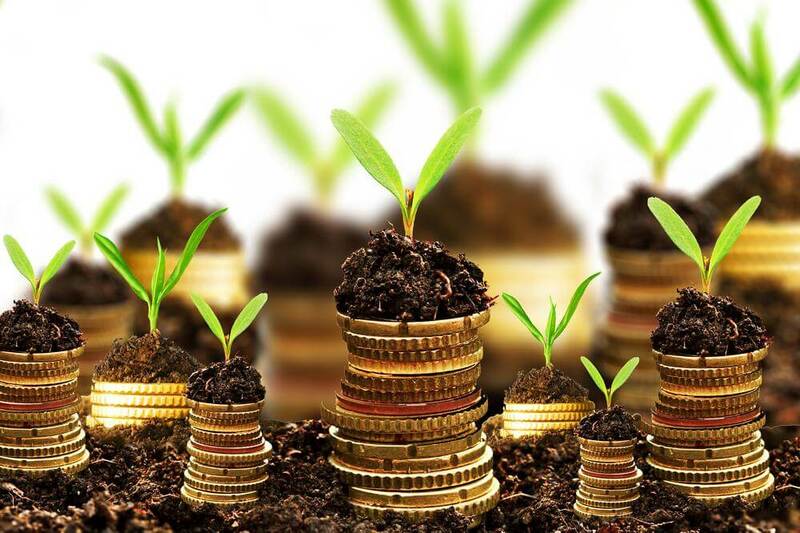 Opportunities abound for the global asset management industry as the shrinking of the banking sector has thrust asset management to the heart of global capital flows and the pace of regulatory change is starting to ease off, according to a new KPMG report. KPMG’s Evolving Investment Management Regulation report highlights that the regulatory uncertainty of the past years has settled down and predicts that 2014 is the year the wheel turns, with the sector now entering the implementation phase of regulation with much greater clarity. Tom Brown, global head of investment management at KPMG, said: “It is indeed the ‘age of asset management’. The industry has come through the financial crisis well and is now operating in a much more stable regulatory environment with greater clarity and certainty. The next five to ten years hold enormous potential for asset managers and I expect to see players introduce innovative products and adopt new strategies as the industry plays its role in the broader savings debate. “Regulators have followed through on their promise to restrict trading and private funds within banks, which has led to trillions of assets being spun off. As talented traders have less access to bank balance sheets, we will increasingly see them migrate toward the asset management continuum, which is another positive for the industry. The report examines the key regulatory challenges to face investment managers in the future, discussing shadow banking and the call for additional data and reporting requirements to improve transparency. 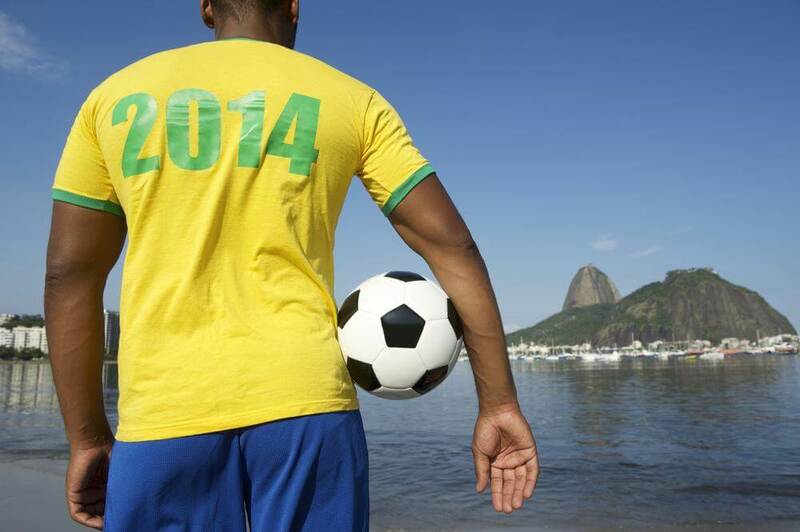 The competition will be based on the official World Cup tournament’s groups. The winning country for each match will be determined by metrics such as the relative strengths of GDP growth, currencies, equities, inflation, unemployment, commodities and other macro data. The metric for each game will be drawn at random on the morning of the match. The two countries that emerge from each group in the pool round will be those with the best performance, according to our market/financial metrics. For instance, the US is due to play Portugal in Group G. If the selected metric is FX, the winner will be determined by the performance of the euro vs. dollar on the day of the match. Traders might favour the dollar given its quiet comeback since the spring, but equally market volatility might give the euro an unexpected edge. In a similar way, other outcomes will be judged on the best equity market performance, or the average return of two key exporting goods such as cotton or crude oil. The competition is open to all through the TradingFloor.com platform, Saxo Bank’s proprietary social trading platform which allows users from around the world to share their trading strategies and performance across a broad range of asset classes. Participants simply need to register and name their chosen winner from the 32 countries to be eligible for the prize. A dedicated webpage will provide interactive tables and scores as well as serving as a forum through which participants can debate the match outcomes. Steen Jakobsen, Chief Economist & CIO at Saxo Bank, said: “There are manifold similarities between playing the markets and playing the beautiful game. Whilst Spain has dominated the sport since the last World Cup, its dominance in Brazil is by no means assured; the familiar investment disclaimer, “Past success is no guarantee for future success”, is equally true for football. Both the markets and competitive sport are subject to unforeseen, disruptive forces which make picking winners difficult to predict. UK Financial Investments (UKFI) the government-mandated company which manages HM Treasury’s shareholdings in banks subscribing to its recapitalisation fund, has announced its intention to sell a further part of HM Treasury’s shareholding in Lloyds Banking Group plc. The disposal of these shares will be by way of a placing to institutional investors. The price at which the placing shares are sold will be determined by way of an accelerated book building process. The book will open with immediate effect following this announcement. The placing is expected to comprise approximately 5.35 billion of the company’s ordinary shares, representing approximately 7.5% of the issued ordinary capital of the company. As a result of the placing, the overall size of HM Treasury’s shareholding in the company will be reduced from approximately 32.7% to approximately 25%. UKFI and HM Treasury have undertaken to the bookrunners named below not to sell further shares in the company for a period of 90 calendar days following the completion of the placing without the prior written consent of a majority (by participation) of the bookrunners. Bank of America Merrill Lynch, J.P. Morgan Securities plc, Morgan Stanley Securities Limited and UBS Limited have been appointed to act as bookrunners in connection with the placing. Lazard & Co., Limited is acting as capital markets adviser. Freshfields Bruckhaus Deringer LLP is acting as legal counsel to UKFI in respect of English and US law. Details of the placing price and the number of placing shares will be announced in due course. The Financial Times recently reported on how swings in currency exchange rates have affected the earnings of multinational companies. Sterling and euro strength over the past year has exposed companies – particularly European ones – to swings of up to 20% against some of the currencies most affected by currency exchange rate fluctuations over the last year, and companies have literally paid the price. 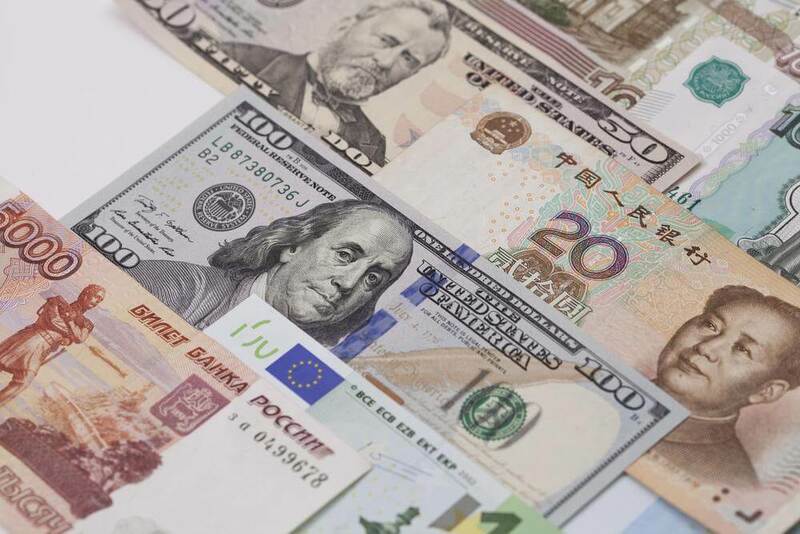 Carl Hasty, Director of international money transfer specialist Smart Currency Business, has been warning companies of the danger of currency market fluctuations over the past ten years, and agrees with this assessment. “This is a very real issue, and the problem is particularly prevalent for companies dealing with emerging market currencies,” says Hasty. “As the Financial Times has pointed out, businesses are finding it ‘too expensive and impractical to protect against fluctuations’ in these volatile markets. “I’ve found that the root of the problem is often a lack of awareness. Many companies either aren’t aware of the hedging strategies that can help them to minimise the risk inherent in currency markets, or think that these strategies are too complicated or expensive to implement. “One example is a forward contract, which lets a company lock in an exchange rate now for a future purchase. This helps the business to save money and minimise risk on their currency purchases, and allows them to set a budget rate, so that they have a better idea of how much they will expect to spend. “There needs to be greater awareness of the range of hedging strategies that can help businesses on the currency front. These are never one-size-fits all. Businesses require education and support in order to determine the best strategies for their currency transactions. 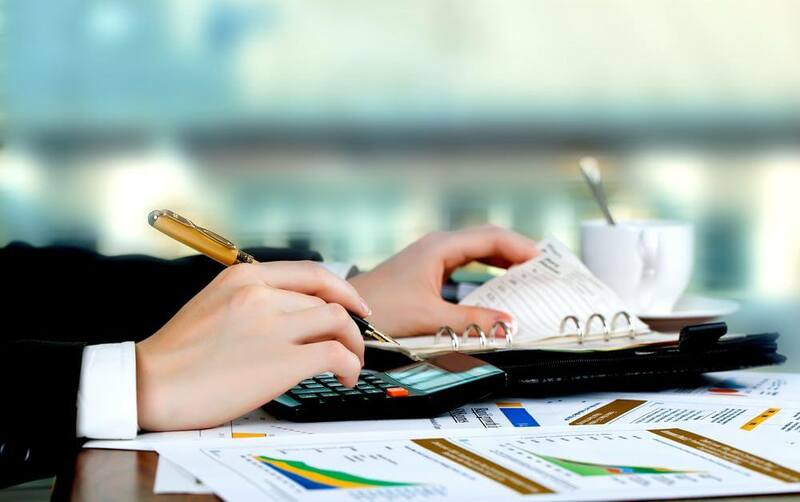 Increased income tax revenues and a phenomenal rise in Stamp Duty Land Tax (SDLT) receipts have boosted an overall tax take in the last twelve months, which is £21 billion (4.47%) higher than in the year preceding say London chartered accountants Blick Rothenberg LLP. The stats showed a 3.15% increase in PAYE receipts and 4.8% increase in National Insurance takings over the same period. “The Office for National Statistics released figures last week showing that unemployment is at a five year low of 2.21 million, and so clearly the impact of more people in jobs is starting to come through in the PAYE and NIC figures, which are up just over £9bn in the past 12 months,” said Nash. The figures also indicated that HMRC has collected £100million from the Annual Tax on Enveloped Dwellings (ATED) for 2013/14, which is a third up on the budgeted amount of £75 million. However, initial figures for April collections so far show only £40million collected for 2014/15 charge which was due by the end of that month. 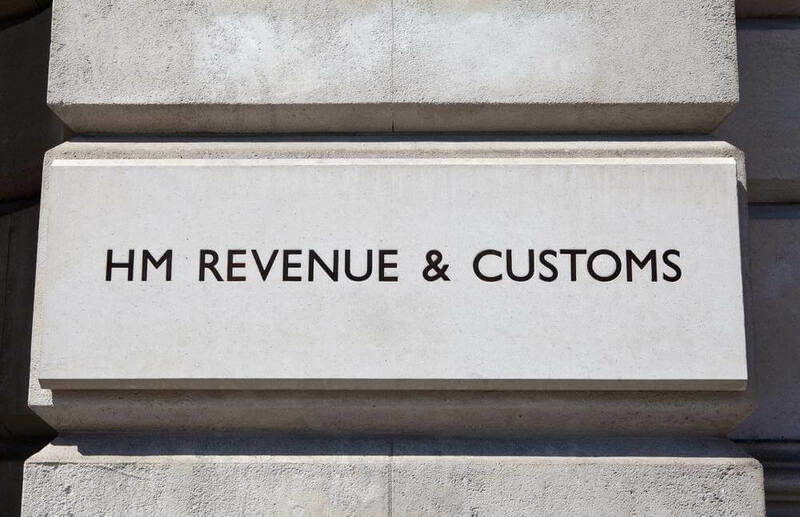 “This will indicate either that residential properties are being removed from companies, which is what HMRC wants, or that further ATED charges have not yet been collected,” added Nash. Credit firms need to do more to ensure their adverts and promotions do not mislead potential customers. The findings come as Financial Conduct Authority (FCA) statistics show that one in five adverts from consumer credit firms, for products including payday loans, fell short of the FCA’s financial promotion expectations – although most firms were quick to make changes once the shortcomings were pointed out. 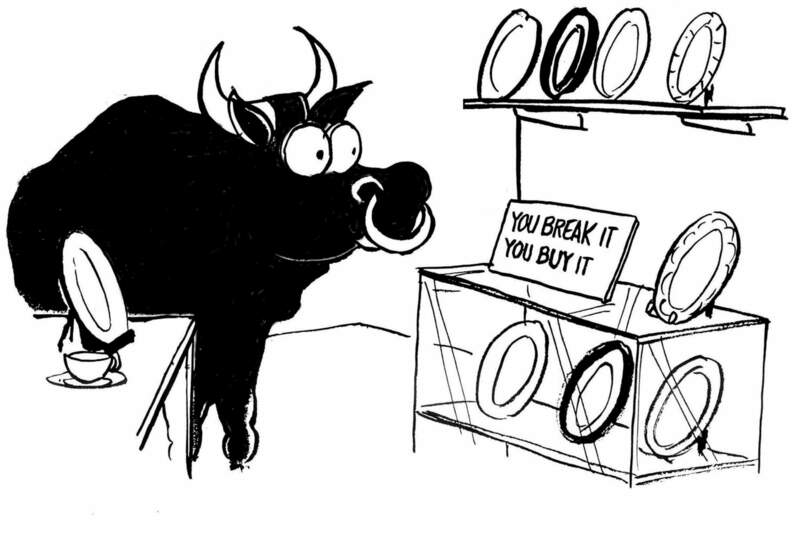 The rules state that any advert must be clear, fair and not misleading for consumers. The FCA examined over 500 advertisements for a range of consumer credit products after assuming responsibility for the sector on 1st April 2014 and found a number of examples where key information which should have been included in the advertisement was either missing or difficult to find. Clive Adamson, director of supervision at the FCA, said: “It is particularly important in this sector that advertisements for financial products enable customers to make informed decisions. We think that more can be done to ensure that advertisements are fair, clear and not misleading. The FCA found examples where consumers were encouraged to hit the “apply” button for a product before having a chance to access important information, a tactic which is against its rules. Sterling has taken a hit after Bank of England (BoE) Governor Mark Carney reiterated the message of no interest rate rises for some time, despite a rapid decline in unemployment and fast-rising house prices, says Mark McFarland, chief economist at private bank Coutts. “Our forecast remains unchanged – we look for a quarter-point hike next spring – although there are risks that rates could rise faster amid surprisingly strong growth that has yet to be matched by gains in productivity,” says McFarland. “Our forecast remains for sterling to fall modestly against the dollar, toward US$1.62 by year end, while we see limited room for further gains in UK government bonds (gilts). Gilt prices rose on Carney’s remarks and a benign BoE Inflation Report, but ended up only slightly above their level of a week ago. “Carney repeated his message from February that the pace of rate rises would be only modest once they do start to go up. We also maintain our view that the first increase will be followed by only another quarter-point hike next year, taking the base rate to 1.0% from 0.5% currently. “Carney’s dovish view and the relatively benign inflation expectations in the BoE’s report come against the backdrop of unemployment falling below 7%—the level set last August as the point at which the Bank would start to consider tightening monetary policy—and rapidly rising house prices. But Carney suggested financial stability was the responsibility of those regulating banks and issuing mortgages, not the Bank of England, with monetary policy being the final tool used to curb excess. How effective tighter regulation will be in maintaining stability remains to be seen. “With growth in GDP running at 3.1% and inflation at 1.6%, traditional models for rate setting would suggest a UK base rate around 1.5%. Estimates of the slack in the UK economy vary widely, but we believe having sufficient slack and increasing productivity will be the crucial factors in keeping rates low and raising them only gradually. The BoE believes there is still room for GDP growth to increase by 1.0-1.5 percentage points, which is roughly in the middle of the range of economists’ forecasts, without a serious threat of inflation. 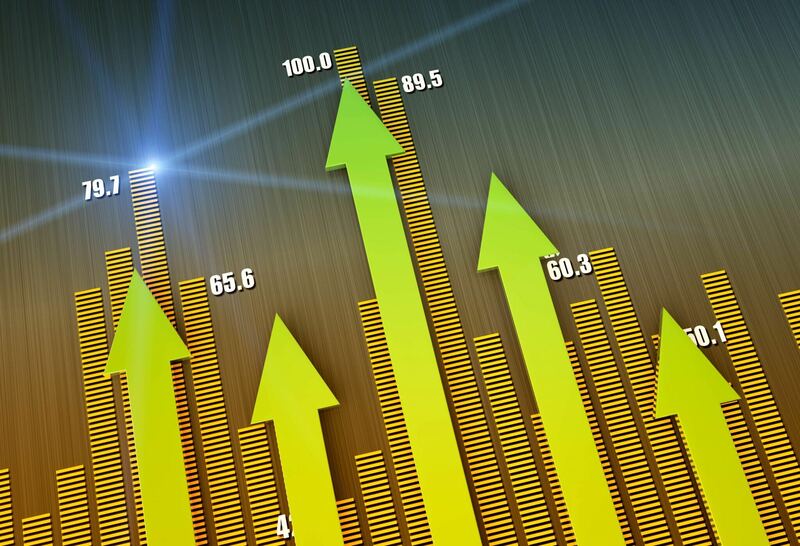 After growing only very marginally in 2012, growth accelerated rapidly, and is now running at around 3% year-on-year. The National Institute of Economic and Social Research (NIESR) forecasts GDP growth of 2.9% this year, an upward revision of 0.4 percentage points on its forecast published just three months ago. This means that GDP will exceed its previous peak in 2008 in the next few months, although per capita GDP still remains well below its previous peak, and will not exceed it before 2017. The NIESR has lifted its GDP growth forecasts for 2015 through to 2017 to about 2.4%. Similarly, while the NIESR expects real wages to grow this year, they are currently about 6% below their 2009 level, and they are not expected to make up that lost ground until 2018 or so. The unemployment rate has fallen by 1 percentage point in the past year, and the NIESR expects it to drop to close to 6% from 2015. The corollary of robust growth in employment over the past few years, combined with economic weakness, has been a sharp fall in productivity growth. Indeed, since 2008 UK productivity performance has closely tracked that of Italy. Even the return of GDP growth, however, has not yet resulted in significant productivity increases. This matters in the short run, since without any improvement in productivity, robust economic growth will see spare capacity absorbed relatively quickly; it matters even more for the medium to long run since ultimately productivity is the main, if not the only, driver of real wages and overall prosperity. The NIESR has seen few signs of domestic inflationary pressures, with wage growth in particular remaining subdued, and inflation is expected to stay very close to the 2% target. Nevertheless, considerable uncertainty surrounds monetary policy on several dimensions: the path of interest rate rises, where market expectations remain for a rate rise in early 2015; the new equilibrium level, which the Bank has said is likely to be materially below 5%; and the exit strategy for quantitative easing, in particular whether this is used as an active policy tool. On the basis of current government plans, the NIESR expects a continued slow decline in net public sector borrowing this year, accelerating in subsequent years, and reaching an absolute surplus in 2018. The net debt to GDP ratio will peak in 2015–16. The UK’s trade performance remains disappointing, with the current account deficit running at about 4% of GDP, on average, over the period 2012–14, although improving subsequently as the global economy continues to strengthen. 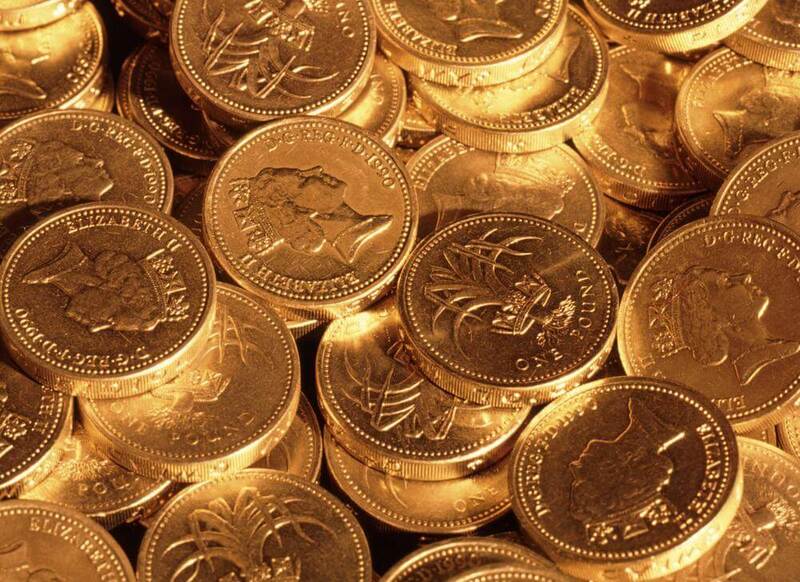 Investment managers should only use client dealing commission to pay for substantive research or costs related to executing trades, said the Financial Conduct Authority (FCA) as it published a policy statement on forthcoming changes to dealing commission rules. The changes reinforce the current rules and provide greater clarity on what investment managers can pay for using client dealing commission – worth approximately £3 billion per year. Firms that already meet the rules will not need to make significant changes to the way they operate. 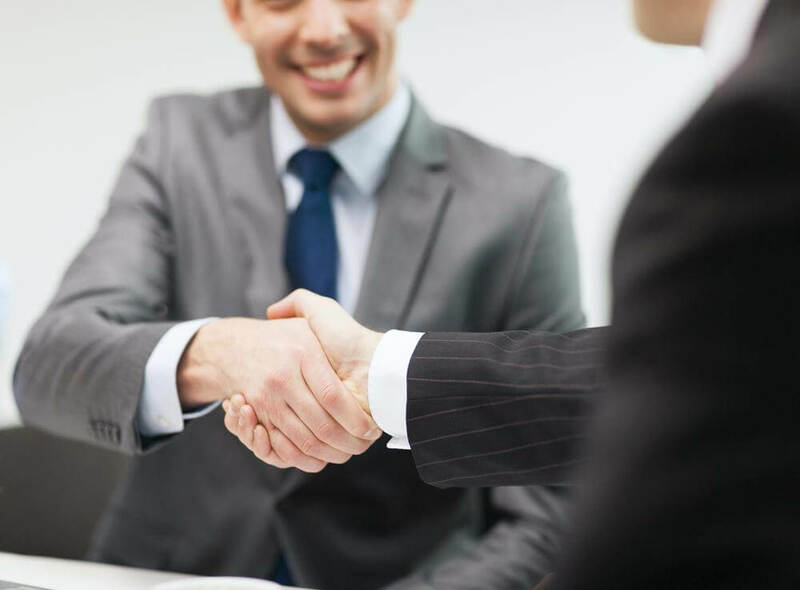 • Clients are given easily understood information on the risks and costs of the service, and investment decisions reflect their stated objectives. The changes on dealing commission come into force on 2nd June and are a result of extensive industry consultation. They will prevent investment managers using dealing commission to pay for access to senior staff at firms they invest in (corporate access). The changes also clarify which costs investment managers can pass on to their clients through dealing commission, including specific guidance on mixed use assessments, where substantive research is bundled together with services that firms cannot pay for using dealing commission. Past reviews found that controls on how dealing commission is spent could be improved and in 2012 we asked firms to confirm their controls were effective. The FCA has a statutory objective to secure appropriate protection for consumers and enhance market integrity. VocaLink, the UK-based international payment systems provider, has modernised the payments landscape in Singapore with an innovative real-time payments platform, FAST. The new platform has been modelled on the UK’s Faster Payments Service which has securely processed over three billion Faster Payments in just five years. The new Singapore payments system has the backing of the leading financial institutions in the sovereign city state, 14 banks in total. With FAST, businesses and consumers in Singapore are able to electronically transfer funds between accounts held at participating financial institutions in seconds – instead of the two to three business days it used to take. 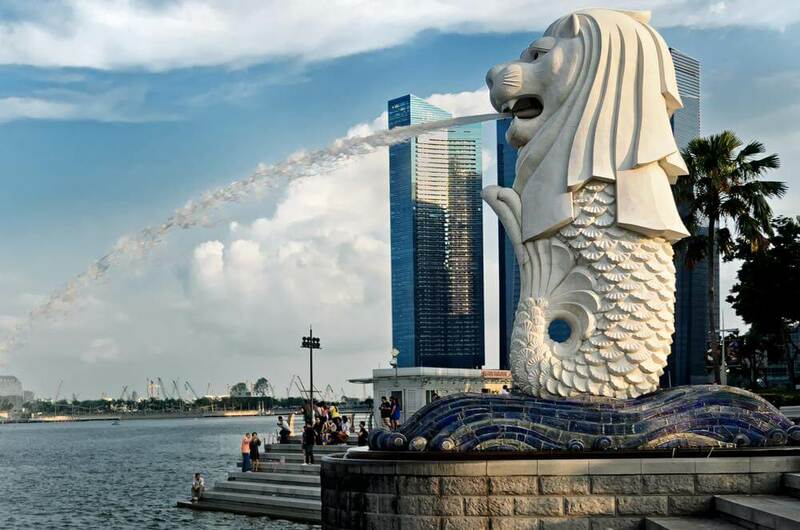 As part of the agreement with the Association of Banks in Singapore, VocaLink has partnered with BCS Information Systems Pte Ltd (BCSIS), the Asian payments solution provider to deliver this service. In the UK, the Faster Payments Service has provided a real-time platform for innovation. Although the original remit was to facilitate single immediate payments between UK bank accounts, real-time technology is driving the development and proliferation of a wider range of services, including mobile payments. Financial Officer to help lead its growth strategy. Lehman Brothers and was a partner in Ernst & Young’s financial services practice in New York. 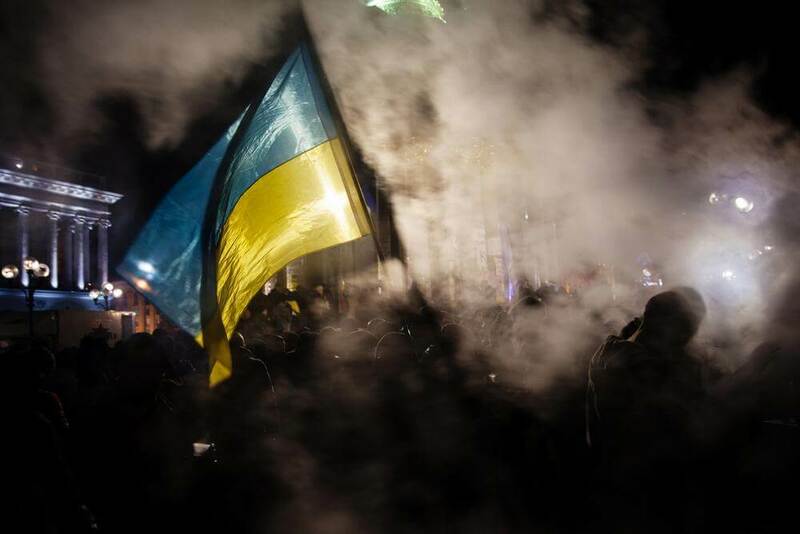 Latest developments in the Ukraine crisis are game-changers for investors, according to a leading global investment analyst. 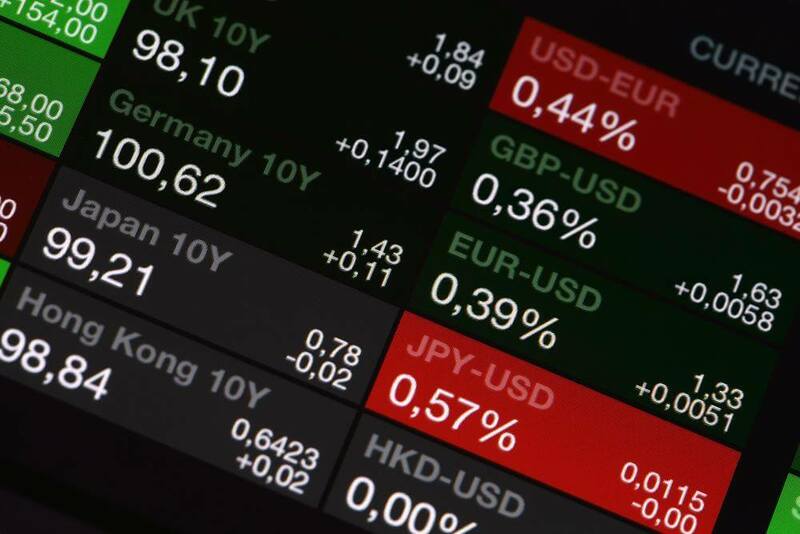 The observations from Tom Elliott, International Investment Strategist at deVere Group, one of the world’s largest independent financial advisory organisations, come as European stock markets, including the FTSE which slid back from a seven-week high, tumbled as the tensions in Ukraine deepened on Friday. “Six weeks ago, in market terms, the crisis looked like it might become little more than ‘a local issue’. But things have changed significantly in the last few days and they are continuing to evolve rapidly, and of course, this will impact investors,” said Elliott. “It is becoming increasingly evident that the more success Putin has in ‘protecting’ ethnic Russians abroad, the greater the risk of trade sanctions by the west, and the weaker he will be at home. The Putin Paradox. Putin is gambling that the west remains divided and prefers to talk and trade rather than to act, an assumption that the US is actively challenging. The Russian economy was already weakening before the Ukraine crisis unfolded, and it will be unable to withstand trade sanctions, said Elliott. “Russia is still, in essence, an exporter of commodities and arms, in return for which it buys western manufactured goods. “Putin’s popularity will almost certainly ebb with economic hardship. He will try to engineer a handover of power to someone in his ‘circle of trust’, but from all accounts that’s quite small,” he said. As for the effect on already increasingly nervous investors, Elliott said that any sudden de-coupling of the Russian economy from the west—which is for the time being looking increasingly likely—will certainly hurt investors. “Retail investors have only a marginal direct exposure to Russia, while Ukraine is an even more exotic ‘frontier’ market that has attracted only professional investors,” he said. “But the impact on the eurozone of trade sanctions could be severe in the near term, given that the region is only slowly emerging from its own economic crisis. Trade sanctions may involve limits on exports to Russia of European manufactured goods, and a cut-off of Russian gas imports, either self-imposed or because Moscow limits supply in retaliation. “However, if sanctions are to remain in place over the long term, the West will inevitably and, I believe relatively quickly, readjust. For example the development of alternative sources of hydro-carbons such as fracking will be accelerated, and European consumer goods manufacturers will carry on as before but now re-priced to exclude growth prospects in Russia,” Elliott said. 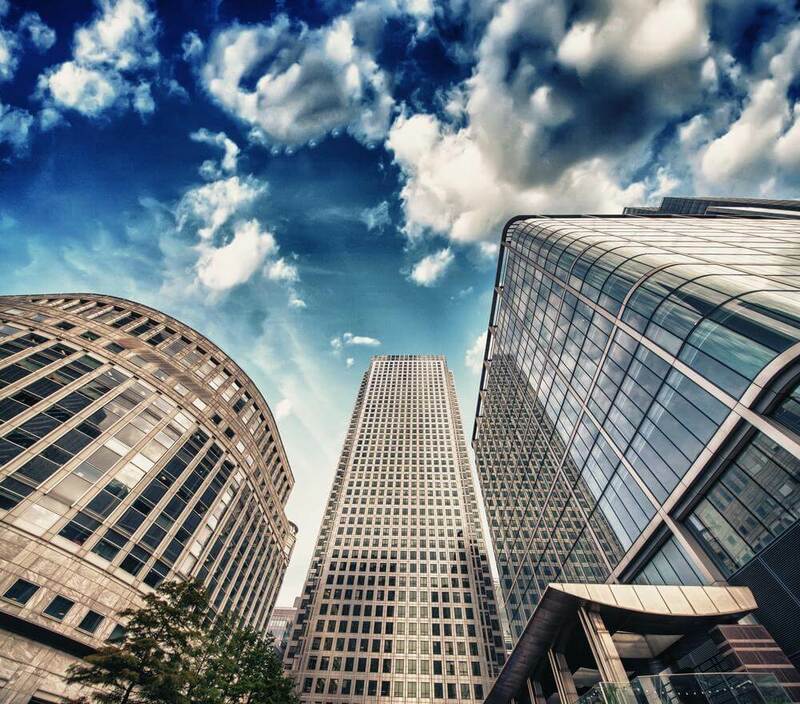 The stamp duty exemption for securities trading on growth markets, coming into effect on Monday 28th April, will give investors a further reason to back ambitious companies but is unlikely to have much impact on where issuers choose to list, says a partner at law firm Hogan Lovells. The new exemption, announced in last year’s budget, is intended to incentivise investor participation in the UK’s growing small and medium-sized quoted businesses. It is widely viewed as a positive move by the government, particularly amongst the Small and Medium Enterprise community. Shares traded on certain growth markets, including AIM and the new High Growth market, will qualify. The exemption is only available to companies trading on growth markets which do not have a full listing elsewhere. This is to allow growing companies to benefit from the exemption, whereas companies with full listings on other markets are likely to be larger and more established. While this means that there will be companies which do not qualify for the exemption, and therefore will have a competitive disadvantage regarding qualifying companies on the same market, investors will make decisions based on the whole “investment story” of the issuer, rather than be swayed by lower investment costs, says Morrison. “However, where such companies are fully listed on stock exchanges for historical reasons (for example, on the Johannesburg Stock Exchange) but the majority of their investor base has migrated to a growth market, such as AIM, we may see those companies choosing to de-list from those exchanges but maintain their trading on the growth market in order to afford their investors the benefit of the new exemption,” Morrison adds. State-registered banks are the fastest growing bank wealth management segment in the U.S., according to new research from global analytics firm Cerulli Associates. 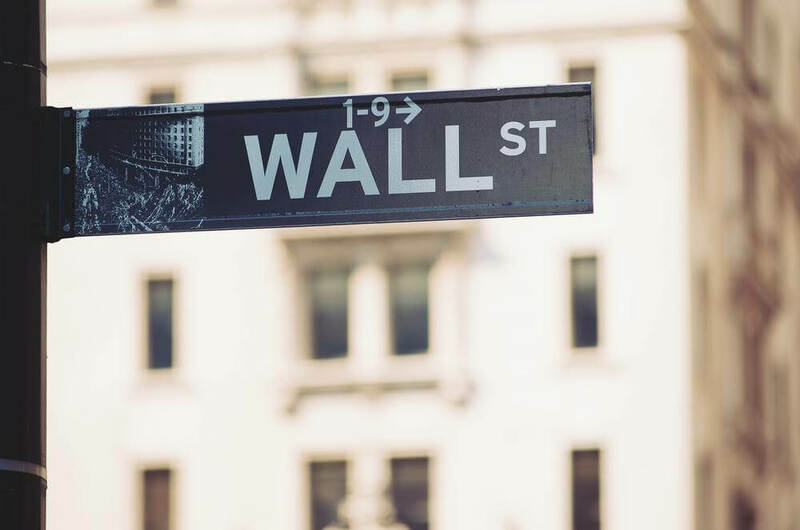 “Despite the post-crisis damage to the reputations of many major investment banks, investors continue to turn to bank trusts for long-term multigenerational wealth strategies,” said Donnie Ethier, associate director at Cerulli. In their report “High-Net-Worth and Ultra-High-Net-Worth Markets 2013: Understanding the Contradictory Demands of Multigenerational Wealth Management,” Cerulli analyzes the U.S. high-net-worth (HNW) (investable assets greater than $5 million) and ultra-high-net-worth (UHNW) (investable assets greater than $20 million) marketplaces. Cerulli is now able to break out trust assets by national- and state-registered banks. This has become increasingly important to asset managers because in recent years numerous state-registered trust companies have formed due to states liberalizing their trust laws. “By recognizing the subtleties of each segment, asset managers can better determine the true opportunity and position their wealth-preservation-oriented products,” said Bing Waldert, director at Cerulli. 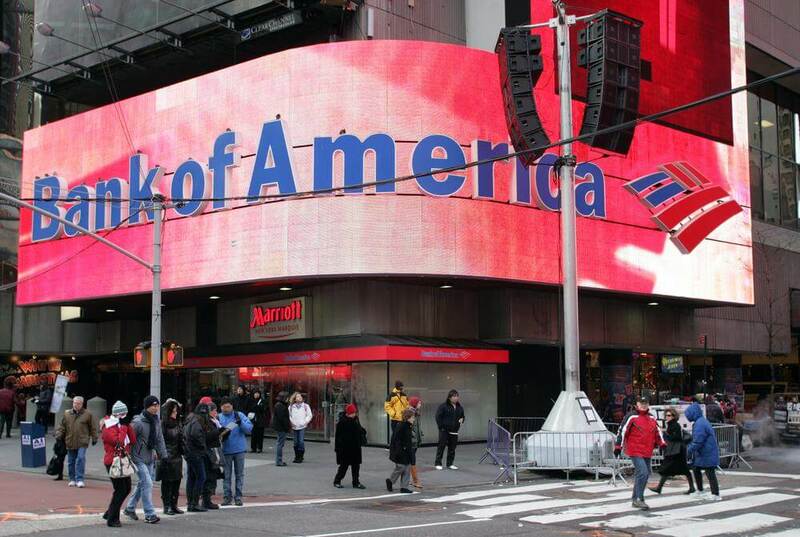 Bank of America Corporation today reported a net loss of $276m, or $0.05 per diluted share, for the first quarter of 2014, compared to net income of $1.5bn, or $0.10 per diluted share, in the year-ago period. Revenue, net of interest expense, on an FTE basis declined three% from the first quarter of 2013 to $22.8bn. Excluding the impact of net debit valuation adjustments (DVA) in both periods, revenue was down four% from the year-ago quarter to $22.7bn. The results for the first quarter of 2014 include $6.0bn in litigation expense related to the previously announced settlement with the Federal Housing Finance Agency (FHFA), and additional reserves primarily for previously disclosed legacy mortgage-related matters. 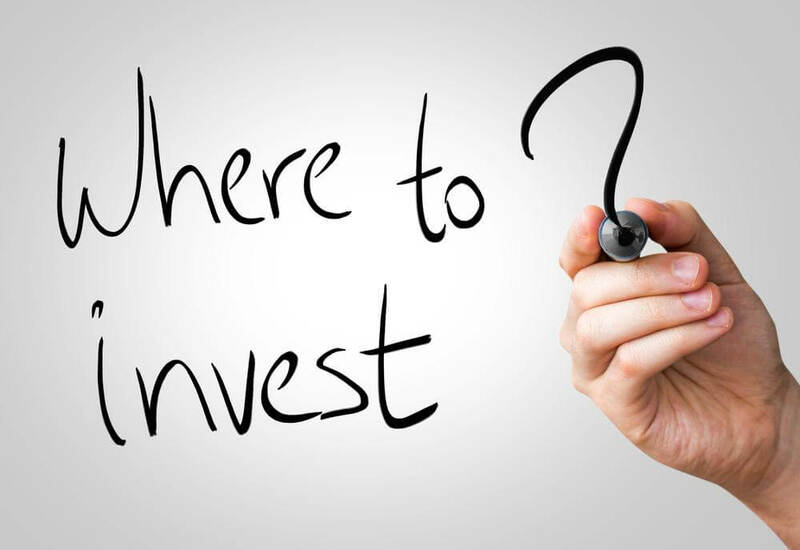 Nearly 40% of investors indicate an increased need for investment advice, according to global analytics firm Cerulli Associates. Cerulli’s U.S. Retail Investor Advice Relationships 2013: Sorting Out the Winners and Losers report provides perspective on the relationship between financial providers and retail investors, covering the provider-client relationship from end to end, starting with client acquisition, progressing through advice delivery, investment management, pricing, and client retention strategies. Rather than fighting over those investors who have already engaged with a provider, Cerulli believes the real opportunity for providers to substantially increase their marketshare is to address those in the middle segment who are unsure of the value of advice. Penney Frohling, Partner in Financial Services at EY, commenting on the Payments Council’s six-month results for the new Current Account Switch Service, says: “EY’s Global Consumer Banking Survey found fees to be the main catalyst behind people switching banks in the UK, followed distantly by the experience they had received. 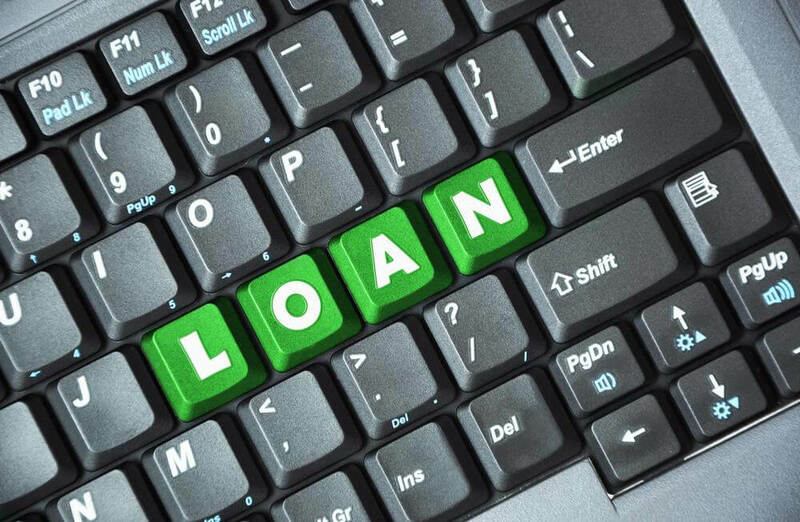 With customers willing to shop around to find the lowest fees and to avoid high charges and interest on their overdraft, banks need to compete on the services they are offering, and make sure that they are not being under-cut by competitors who are providing interest-free overdrafts and better rewards or loyalty packages. 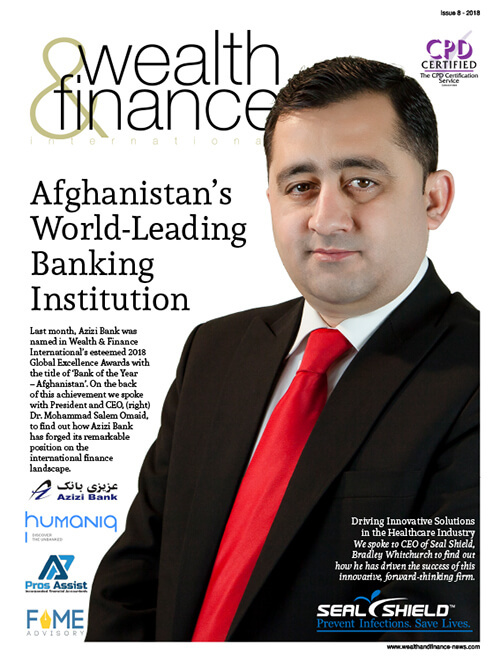 Omar Ali, UK banking and capital markets leader, commenting specifically on competition in UK banking, adds: “The number of people switching banks has doubled since the new legislation was introduced. More people than ever are aware they have the option to switch if they are unsatisfied with their current provider, and as awareness grows, it can only be expected that this trend will continue. However, it is not having the material impact on the market share of the top four high street banks that Government hoped for. Rather, the majority of switches are from one of the major incumbents to another. “In order to compete effectively with existing providers, new entrant banks will either need to innovate; taking a specific area of the market and creating substantial change to the traditional model, or they will need a compelling proposition on fees and better service quality than existing providers. According to research from global analytics firm Cerulli Associates, advisor migration is projected to grow independent channels to 38% of asset marketshare through 2016. “We anticipate the registered investment advisor and the dually registered channels are going to be the beneficiaries of advisor movement,” states Kenton Shirk, associate director at Cerulli. Cerulli’s Intermediary Distribution 2013: Managing Sales Amid Industry Consolidation report examines the distribution of financial products within the U.S. The report includes advisor marketsizing, advisor product use, and asset manager sales organizations. “Across the advisor industry, there is a strong desire for independent operation and ownership. The draw of autonomy, combined with the trend toward fee-only relationships, has enhanced the appeal of the independent channels,” Shirk explains. To manage advisors transitioning between channels, Cerulli recommends that distributors clearly delineate ownership, empower divisional sales managers to track advisor transitions, and standardize transition hand-offs between wholesalers to ensure relationship continuity with the firm. • UCITS enjoyed a second consecutive month of strong net inflows in February amounting to EUR 49 billion, albeit down from EUR 69 billion in January. This drop in net inflows can be attributed to negative net flows out of money market funds during the month. • Long-term UCITS (UCITS excluding money market funds) attracted net inflows of EUR 51 billion, being the largest net inflows since January 2013, and up from EUR 40 billion in January 2014.
o Net sales of bond funds jumped during February to EUR 24 billion from EUR 13 billion in January. o Equity funds enjoyed increased net inflows of EUR 12 billion compared to EUR 10 billion in January. o Balanced funds recorded net sales of EUR 12 billion, down from EUR 15 billion. • Money market funds experienced net outflows of EUR 2 billion in February, after registering large net inflows in January of EUR 29 billion. • Total non-UCITS recorded net sales of EUR 11 billion, down from EUR 13 billion in January. Net inflows into special funds (funds reserved to institutional investors) remained constant at EUR 9 billion during the month. • Total assets of UCITS increased 2.4 percent in February to EUR 7,140 billion. o Total assets of non-UCITS rose 0.9 percent in February to EUR 2,849 billion. o Overall, total assets of the investment fund industry increased 2.0 percent to stand at EUR 9,988 billion at month end. International Foreign Exchange (IFX), one of the world’s leading specialist foreign exchange consultancies, has appointed cutting edge PR & digital communications agency, Rooster PR, to raise its profile in the UK and abroad. IFX specialises in advising on and coordinating high value currency transfers for a growing portfolio of corporate and private clients throughout the UK, Europe, the Middle East and Australasia. IFX launched in April 2005 and with 50-60 percent growth year on year for the last three years, is the fastest growing specialist foreign exchange consultancy in the UK. The company has recently embarked on an impressive expansion plan, with offices already trading in Dubai (opened May 2013) and Warsaw (opened March 2014), with a view to launching an additional five new offices worldwide within the next three years. Rooster has taken on a brief to build awareness of the IFX brand in the UK and in key overseas markets, to cut through the competitive clutter, and to position IFX as the foreign exchange consultancy of choice. Rooster’s strategy will focus on demonstrating the company’s expertise and identifying opportunities for IFX spokespeople to provide comment and industry insight on a wealth of topics, including personal finance, international money transfer, exchange rate fluctuations, foreign investment and overseas property. “With our ten year anniversary approaching and a number of success stories to communicate, we believe it is the perfect time to invest in PR. We are pleased to be working with Rooster to increase our competitive share of voice in the media and raise the profile of IFX among relevant business and consumer audiences.” says Tom Greenwood, IFX COO. Citigroup has announced that it has reached an agreement with 18 institutional investors, represented by Gibbs & Bruns LLP, regarding the resolution of certain legacy Securities and Banking private-label securitisation representation and warranty repurchase claims. Under the agreement, Citigroup will make a binding offer to the trustees of 68 Citi-sponsored mortgage securitisation trusts to pay $1.125 billion to the trusts, plus certain fees and expenses, for which Citi has taken an additional charge of approximately $100 million in the first quarter of 2014. The 68 trusts covered by the agreement issued in the aggregate $59.4 billion of residential mortgage-backed securities and represent all of the trusts established by Citi’s legacy Securities and Banking business during 2005-2008 for which Citi affiliates made representations and warranties to the trusts. The agreement, if accepted by the trustees, would release Citi’s obligation to repurchase mortgage loans sold into the trusts, or make the trusts whole, for outstanding or potential claims for breaches of representations and warranties on the loans. The agreement would not release potential investor claims relating to alleged misrepresentations in the offering documents associated with these private-label securitisations, nor any potential regulatory actions. Further, the agreement does not cover mortgage loans sold through private-label securitisation trusts via Citi’s consumer mortgage business in CitiMortgage, Inc. The agreement is conditioned on, among other things, acceptance by the trustees of the applicable trusts, and court approval, if sought by the trustees. Wine Owners – the online fine wine exchange and portfolio management solution – has announced that from 7th April 2014 prospective and existing members in Hong Kong will have a bespoke region specific branch of the already successful www.wineowners.com site. The creation of Wine Owners HK is in response to the enthusiasm by Hong Kong based wine businesses for the existing Wine Owners platform. Its launch also recognises the importance of the region to the fine wine market globally. Already collectors manage on average HK$800,000 on the dot.com platform, with a growing number accessing the fine wine exchange to buy and sell directly in a secondary market with fellow collectors, wine merchants, brokers, consultants and funds. On the HK portal the fine wine exchange will display, as a priority, wine offered for sale in Hong Kong, alongside unrestricted access to European offers, thus permitting local investors access to back vintages from collectors’ portfolios and an extremely broad spectrum of global wine trade participants. Wine Owners’ platform also calculates delivery charges from all the major HK wine warehouses and take into account the special tax status of the Hong Kong region. Wine Owners HK importantly provides an additional focus for the local marketplace where collectors who become members can manage wine portfolios in the currency of their choice. Pricing information and graphical analysis on 160,000 fine wines can be analysed in HK$ as well as other leading global currencies. 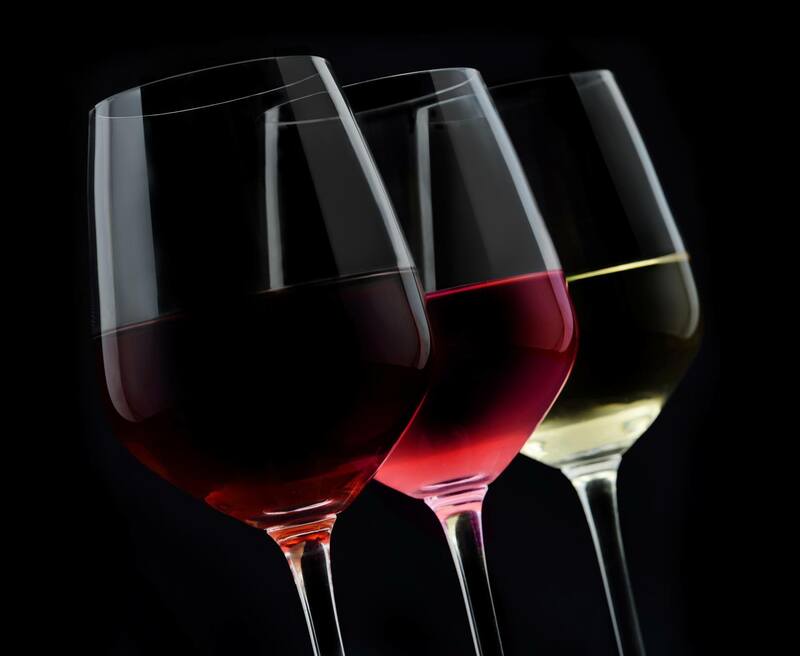 First launched into in June 2013, Wine Owners is unrivalled in the industry. It’s accessed by 8,000 global users to manage in excess of a billion dollars’ worth of fine wine collections on the system. It allows collectors and investors to review and be more informed about their wine with a comprehensive suite of decision-support tools and data so they can value their wine assets; work out what to keep, drink, lay down and sell, in context of key data and expert content. The fine wine exchange makes it easy to trade out of, and into, your Wine Owners portfolio. Every decision is made transparent with market pricing on 160,000 wines and Wine Owners reduces the challenges associated with self-trading by orchestrating settlement between counterparties, inspections and all logistics. “We strongly felt we needed to recognise and reward the support of wine businesses in Hong Kong, and wanted to introduce ourselves to local wine consumers – amongst the most passionate wine collectors in the world – as an exciting way for them to fully appreciate their treasured assets” said Wine Owners founder and CEO Nick Martin. 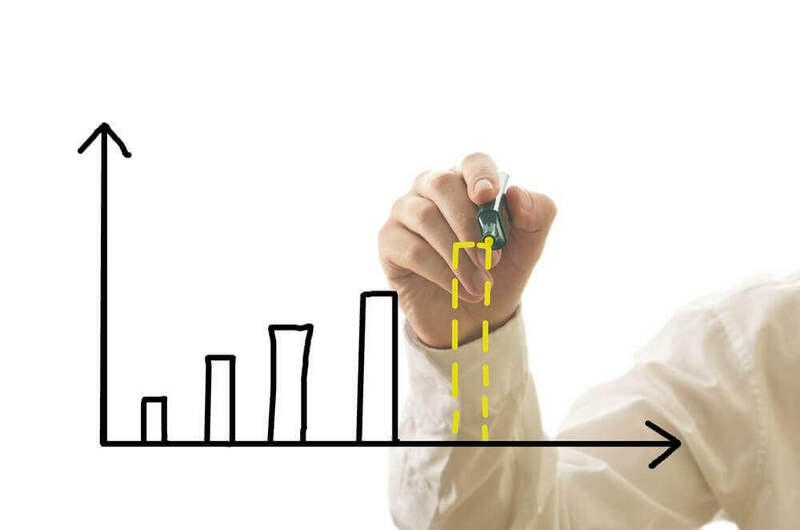 As part of LuxCSD’s initiative to support the dematerialisation of securities of all types, LuxCSD announced custody fee cuts for equities by 50%, effective from 1 April 2014. This fee reduction results in an alignment of the equity and bond custody fees. The aim is to encourage corporations to dematerialise existing physical securities and to newly issue securities in dematerialised form. Custody of equities in dematerialised form significantly reduces inefficiencies, risks and costs for the industry and increase the level of transparency regarding the chain of holders of a Luxembourg security. In March 2014, LuxCSD has successfully handled its first dematerialisation of physical shares – the BIP Investment Partners Luxembourg equities with a volume of EUR 400 million. 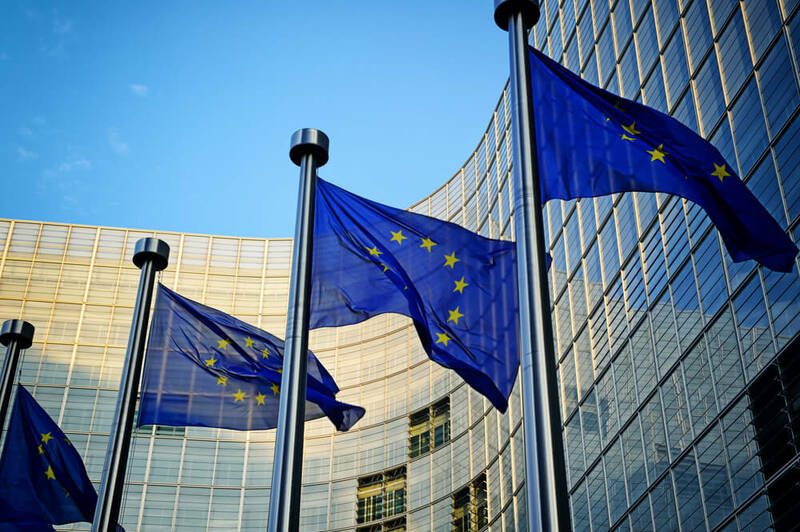 The change in Luxembourg law governing the dematerialisation of physical securities adopted in April 2013 is expected to further enhance the appeal of securities issued and dematerialised in Luxembourg. European Private Equity & Venture Capital Association (EVCA) Chief Executive Dörte Höppner said: “European private equity, including venture capital, has a significant contribution to make to the long-term financing of Europe’s businesses and economy. The EVCA welcomes today’s Communication, which recognises the industry’s role in supporting SMEs and helping investors such as pension funds meet their long-term liabilities. The Commission today also adopted a proposal to revise the Institutions for Occupational Retirement Provision Directive (IORP Directive). EVCA Director of Public Affairs Michael Collins said: “Internal Market Commissioner Michel Barnier was true to his word and did not propose Solvency II style capital requirements for pension funds. Long-term asset classes such as private equity do not now have to fear they will be priced out of the market for pension fund investment. The people of Preston in Lancashire are being urged by their council to join Move Your Money in a bid to create a better financial system. Preston City Council believes that since the financial crisis people are increasingly concerned about where their money goes and how it’s used, and it wants to help. 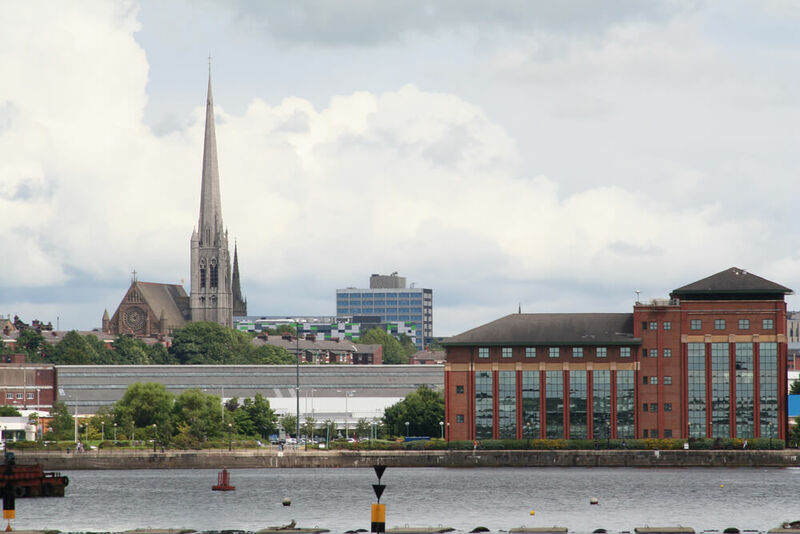 Whilst a number of councils across the UK have committed to move their money, Preston is the first council in the UK to actively encourage individuals and businesses across the city to switch banking providers. 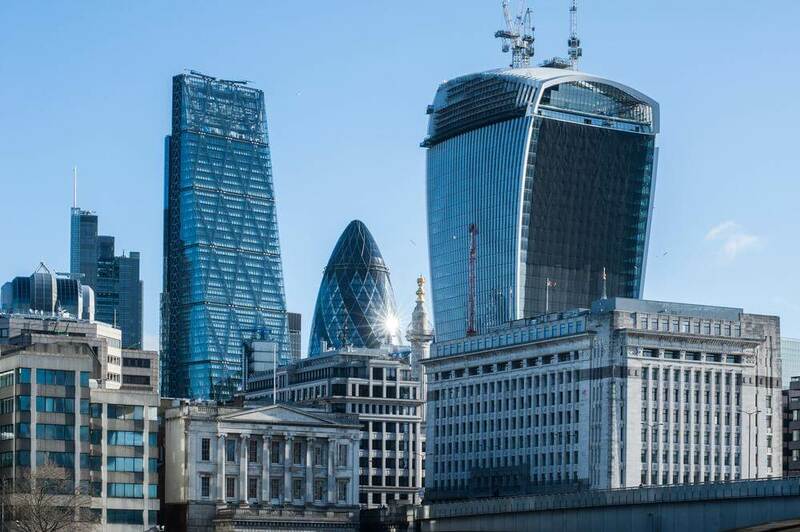 Other councils across the UK that have committed to moving their money to better banks, or setting up their own, include the Greater London Authority; Lambeth; Liverpool and Brighton. Interest in so-called ‘alternative property assets’, such as healthcare, hotels, student accommodation, privately rented housing, and infrastructure has never been so pronounced. 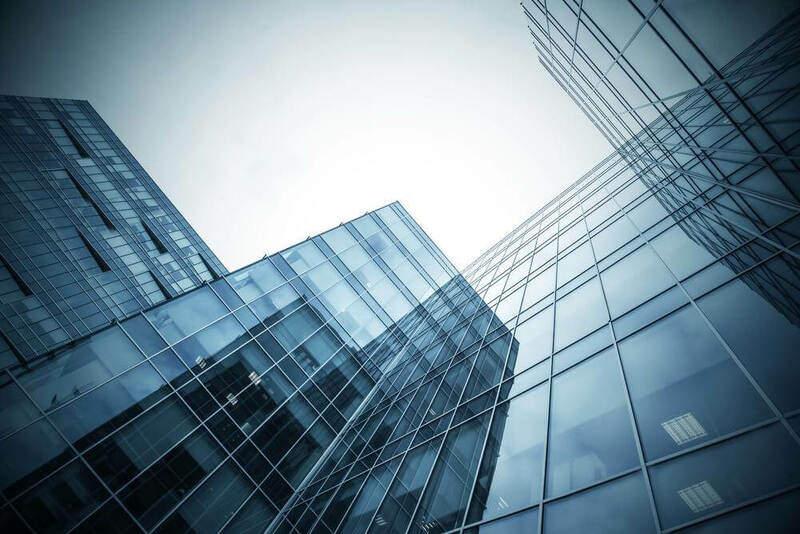 According to research by JLL, alternative assets account for 5% of institutional investors’ portfolios at present, but that number is set to rise to 15% by 2023. Some investors are looking to diversify their portfolios; others are attracted by higher returns and yields; some by the availability of long, index-linked leases that match their requirements. 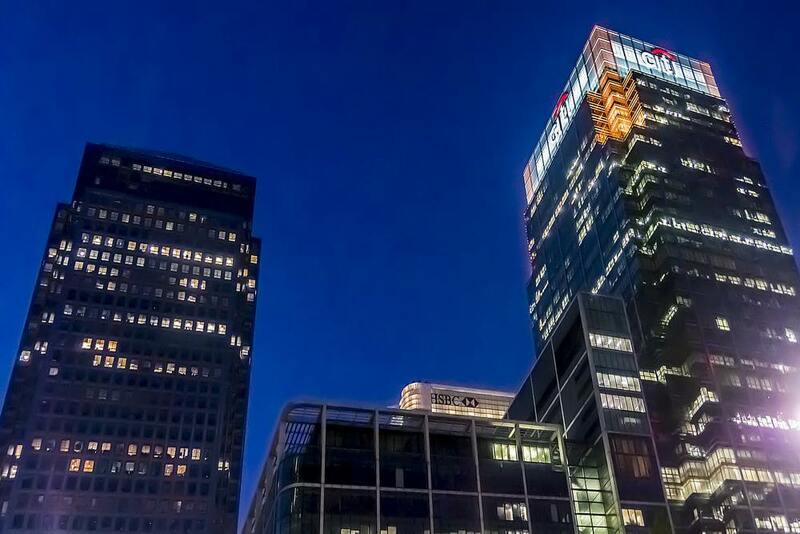 At an event held by the British Property Federation and JLL today, key industry figures will talk about these drivers, and whether alternative assets will play a much greater role in property investment in the future. As the UK demographic changes, and an ageing population, an international student base and Generation Rent emerge, the healthcare and private rented and student accommodation sectors are becoming attractive to a range of investors. The panel will today discuss what is driving this increased appetite, and whether these assets offer sustainable investment solutions. STOXX Limited, a leading provider of innovative, tradable and global index concepts, introduced that the newly launched STOXX Europe Low Beta High Div 50 Index has been licensed to Deutsche Bank to be used as the basis for structured products. The index selects the 50 stocks with the lowest beta out of the members of the STOXX Europe 600 Index with a dividend yield which is higher than the EURO STOXX 50 Index’s dividend yield. 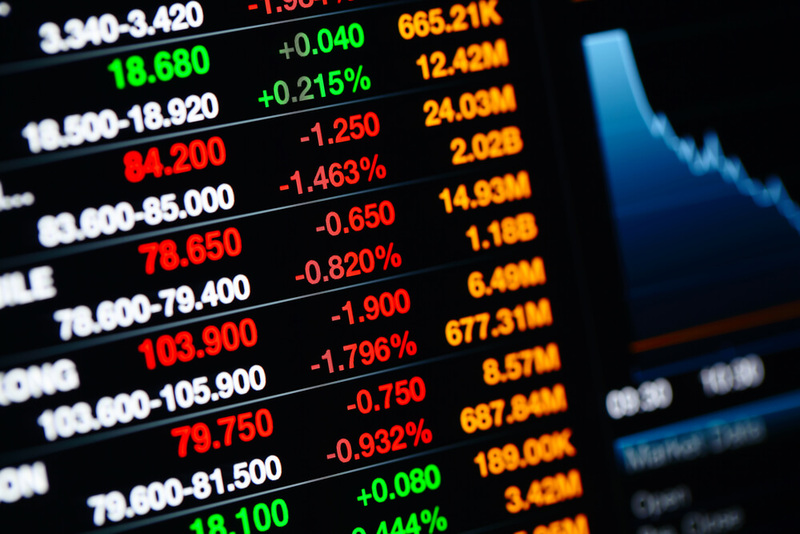 It is the first index of its kind, and is designed to act as an underlying to structured products and other investable products, such as exchange-traded funds. Giulio Alfinito, Head of Equity Investor Products Europe at Deutsche Bank, said: “STOXX Europe Low Beta High Div 50 Index is a significant development in the low volatility and low beta investment space. The intuitive selection mechanism provides access to stocks with low historic exposure to systematic risk. The index is an ideal candidate for investors seeking partial or full capital protection through options and other structured products”. The STOXX Europe Low Beta High Div 50 Index is derived from the STOXX Europe 600 Index. To be eligible for inclusion in the new index, companies must have a net dividend yield for the past twelve months that is higher than the overall net dividend yield of the EURO STOXX 50 Index over the same time period. All those companies are then screened for their beta to the EURO STOXX 50 Index over the past twelve months, and only those 50 companies with the lowest beta are selected. A cap of eight companies per country is applied to ensure diversification in the index. The STOXX Europe Low Beta High Div 50 Index is weighted by liquidity measured through components’ three month average daily trading volume (ADTV), with a single component’s weight cap of 5 percent. The index is reviewed annually in December, with the cutoff date for dividend yield and beta data being the last trading day of the previous month. The STOXX Europe Low Beta High Div 50 Index is calculated in price, net and gross return versions and available in Euro and USD. Daily historical data is available back to December 23, 2002. A rise in negative investor sentiment towards China ignores a number of stronger positives and the long-term investment case remains firmly intact, believes Investec Wealth & Investment (“IW&I”). The thrust of most negative reports centres around six key issues: that China has grown at an unprecedented rate; has a lot of debt; struggles with corruption; has unreliable statistics; is suffering a growth slowdown; and, because of its size, if it goes wrong could be a real problem for the global economy. However, China is fully aware of its challenges, believes IW&I. The current slowdown is largely self-engineered by the new leadership, whose efforts to rein in lending and tackle corruption have imposed a significant austerity burden on growth – IW&I estimates over 3% of GDP. As China ‘cleans house’, bankruptcies and insolvencies will increasingly be part of the regular news-flow from China – but this is a sign that markets are being allowed to work, not a harbinger of imminent disaster. John Haynes, Head of Research, Investec Wealth & Investment, said: “China has a lot of debt – the total burden of public and private sector debt has risen from around 150% of GDP to over 200% of GDP since 2008. But the country also has a lot of assets, even beyond the $3.8trn of foreign exchange reserves which amount to around one-third of GDP. Current concerns over the “shadow” banking system in China have a high profile because their products have been sold to consumers, but the sector is a small part of the overall debt burden, according to IW&I. The rise in China’s debt over the past five years has in fact predominantly come from the corporate sector – largely a function of loans to State Owned Industry. Once again, this is government debt by another name and the Chinese government is “good” for its debt, believes IW&I. John Haynes continues: “For a crisis to develop either politics or the financial system must be unstable. Neither is the case in China. We know from our experience of the Eurozone crisis what to watch for – namely bankruptcies (or the possibility thereof) of key banks. This will not happen in China because the key institutions are state-owned and well funded: banks’ loan to deposit ratios are only around 70%, savings are all locally sourced, there is no risk of deposit flight and foreign funds in China are in illiquid investments. Fisch Asset Management is an independent asset management boutique based in Zurich and is one of the leading convertible bond managers worldwide. The Group of Boutique Asset Managers (GBAM) is a global network of like-minded, independent specialist asset managers who have come together to improve their presence in international marketplaces. Members do so by sharing information and promoting their presence both individually and collectively to potential investors. • To foster cooperation among member firms. • To identify best practice and share experiences in all aspects of asset management (research portfolio management, risk control, marketing etc). • To improve understanding of operating in international markets. • Improve recognition in the marketplace of the advantages offered by small, specialist businesses by providing a representative voice in the media. • To support members by highlighting their expertise in their chosen fields. Mike Franklin, Chief Investment Strategist at Beaufort Securities says, “Given the significance of the timing of an interest rate rise after the prolonged period of no increase, it is unsurprising that much speculation surrounds any hints from the Bank of England’s Monetary Policy Committee or from any individual members of the Committee about when the next move would come. Mike continues, “The perception of the timing of a rate change is a particularly important component of equity market sentiment. The current hot spot for estimates is spring 2015 and, more specifically, May 2015. Of course, a lot can change in the world economy before then and the ramifications for the UK economy could be significant. Consequently, even the Central Bankers here and elsewhere, including the Federal Reserve, cannot know for certain when in the future they will decide to move rates. It is axiomatic that, given the sacrifices that have been made already to nurture economic recovery around the world to a sustainable level – that is, without the need for long term Central Bank intervention – Central Bankers will not wish to jeopardise the recovery by raising rates too soon. Mike concluded, “In a nutshell, if economies recover much more quickly to a level where they are deemed to be able to cope with a rise in interest rates, then interest rates will probably rise sooner. If Central Banks are right on this, then any rise in itself should not be a problem. AIM-quoted China Private Equity Investment Holdings Ltd (CPE) has been renamed Adamas Finance Asia Limited (AFA). The Company’s new AIM ticker is ADAM. The renaming follows the completion of an Agreement announced last December which sees control pass to the Hong Kong-based asset management group Adamas Asset Management (Adamas). Adamas has approximately US$500 million under management, and was winner of the Acquisitions International Best Mezzanine Fund Award 2012. In recognition of its specialist expertise, it has also been nominated by Private Debt Investor alongside KKR and Oaktree for the forthcoming Best Asia Lender Award 2013. Adamas’ investment professionals will provide AFA with investment management services, and with access to consistent deal flow. Their investment policy will target SME’s needing capital in Asia, with a focus on Greater China. Transactions will be structured as senior debt, bridge loans, mezzanine finance and other types of structured private financing, with a targeted internal rate of return of 20% per annum. 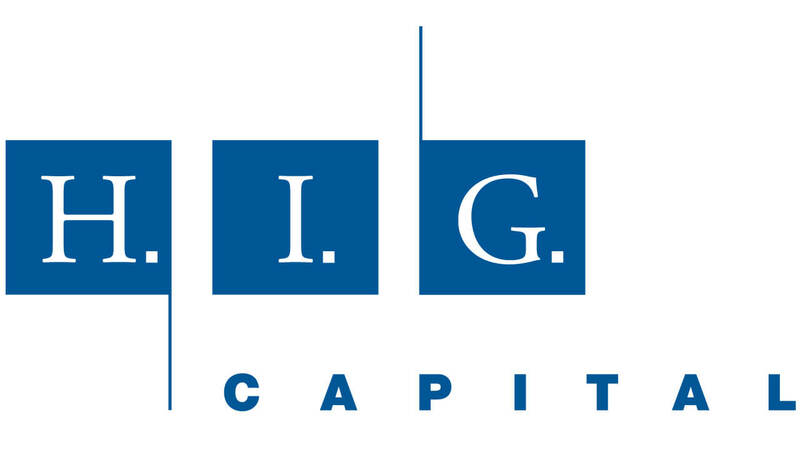 Leading global investment firm, H.I.G. Capital has announced that two experienced private equity investors, Johannes Huttunen and Johan Pernvi, have joined the London team.